In 2006, when the first cloud based services were developed, few businesses were willing to migrate. The service seemed unnecessarily risky, not storing your data in a physical server on-site. Today, cloud computing is a much more developed concept. Approximately 80% of companies in the U.S are using at least one cloud-based service and that percentage continues to grow. Businesses were reluctant at first when migrating desktops to the cloud simply because it was perceived to be expensive and time-consuming. However, the cloud has proven to be just the opposite: it brings high efficiencies in cost and productivity to businesses of all sizes. Companies that are embracing cutting-edge cloud technology such as Microsoft Azure are capable of generating more profit and keeping a streamline of innovations. Business agility is more important than ever before. Companies in the cloud are able to process workloads faster, achieving greater levels of productivity. Given the flexibility of the cloud, designing, implementing, and using newer applications is much easier. Newer applications also improve the overall performance of your systems. Before: Legacy servers were the only option for data and application storage. Workloads took days to process, and the IT team had to support different unknown technologies with a long list of support tickets. Now: To keep up with user demands, IT managers implement technologies such as Office 365 and Microsoft SharePoint that allow scalable, enterprise-wide collaboration at all times. With the cloud, companies aren’t restricted to on-premise services and infrastructure. Businesses are capable of deploying a Virtual Desktop Infrastructure (VDI) solution, which gives employees the flexibility of business continuity from wherever they are. Before: Employees were tied to working on a single desktop, in one location, and at rigid work hours to ensure secure access to company information. Now: Employees expect to have work location flexibility and guaranteed access to their data and apps in a technology environment that is safe and easy to use. Now that data governance and compliance are becoming stricter, businesses are looking at the cloud to find better ways to ensure data safety while maintaining uniformity within industry compliance regulations. From the end-user perspective, mobile devices are a must have tool to get things done. However, they can also become your Weakest Security Link. It is therefore important that IT managers are able to secure corporate information at an app level. Granting secure access through privacy controls needs to be simple and replicable for future end-users. Before: Outdated firewalls and unsecured servers were a high leak risk. End-users were accessing information using unconventional and insecure methods that were extremely hard to control and ungoverned remote access could expose the entire company network to intruders. Now: The reality is that data security and identity management will always be a concern for managers, especially as the number of mobile devices increases and BYOD policies become the norm. However, 64% of enterprises today consider cloud infrastructure a much more secure way to handle information than legacy systems. Migrating to the cloud can be quite the journey, so it's important to have an action plan and build a comprehensive strategy for your specific business needs and expectations. If you'd like to learn more, here's our best recommendations on how to migrate to the cloud. 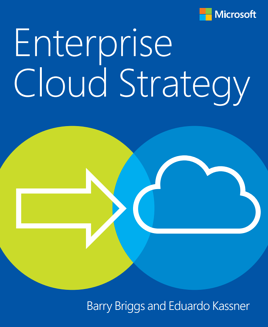 Learn to build an enterprise cloud strategy that will seamlessly connect you to the cloud. This road-map to the cloud highlights key considerations when defining an efficient and innovative migration path that allows business transformation. What's Next? Download this e-book and get inspired to build your own framework for cloud migration.